I am still having the hardest time wrapping my head around the fact that my little baby is 6 months old! It really does seem like we just brought him home from the hospital! So many cool things go along with Lucas turning 6 months old. And of course, he’s eating solid foods. 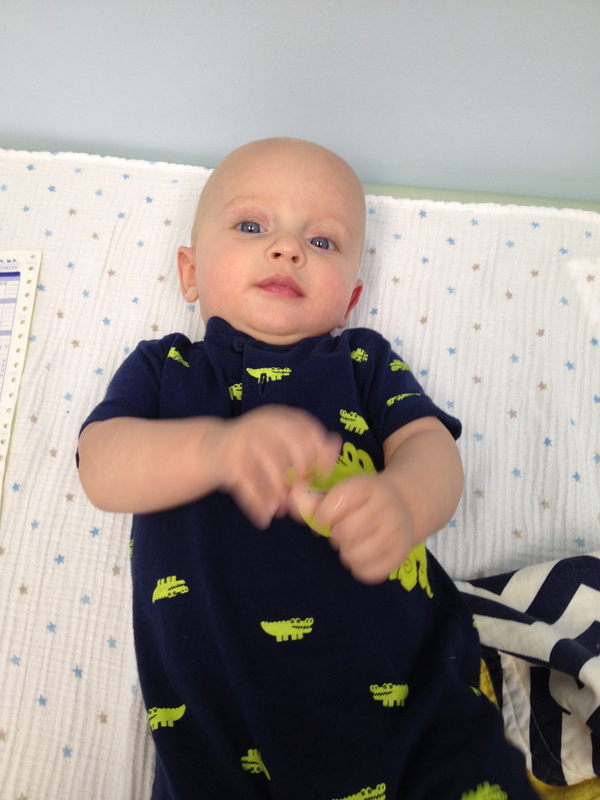 The one not-so-cool thing about his 6 month birthday – SHOTS! Our 6 month appointment was on Monday and I was dreading it for the whole week leading up to it. 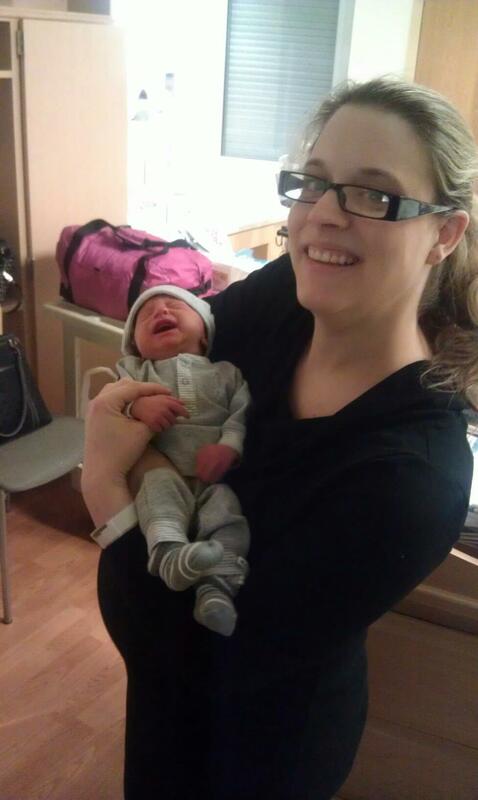 The Well Baby Visit starts out great! 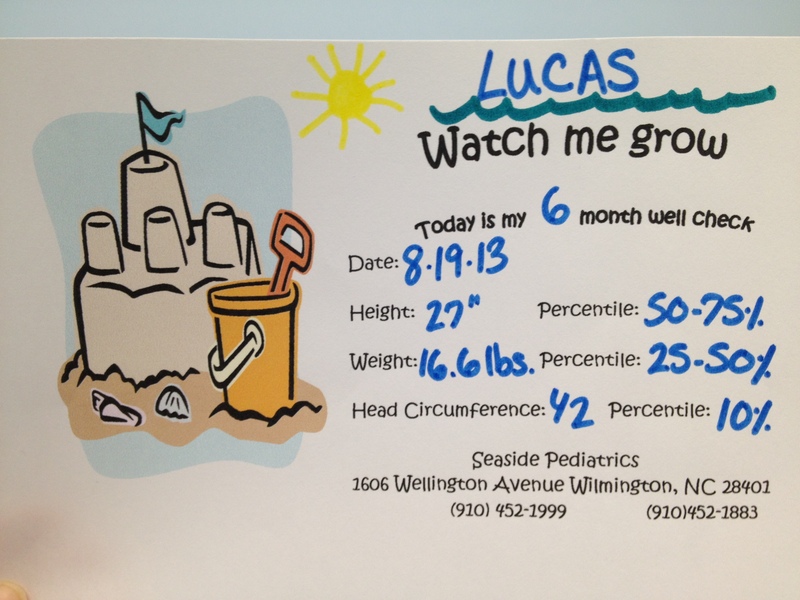 The nurse takes Lucas’s measurements, we get to see how big he’s getting (he jumped percentiles in each category!) and we get this neat little reminder. To be honest, my little guy handles the shots so much better than I do! He cries for about 3 seconds and then is totally content after I start feeding him. 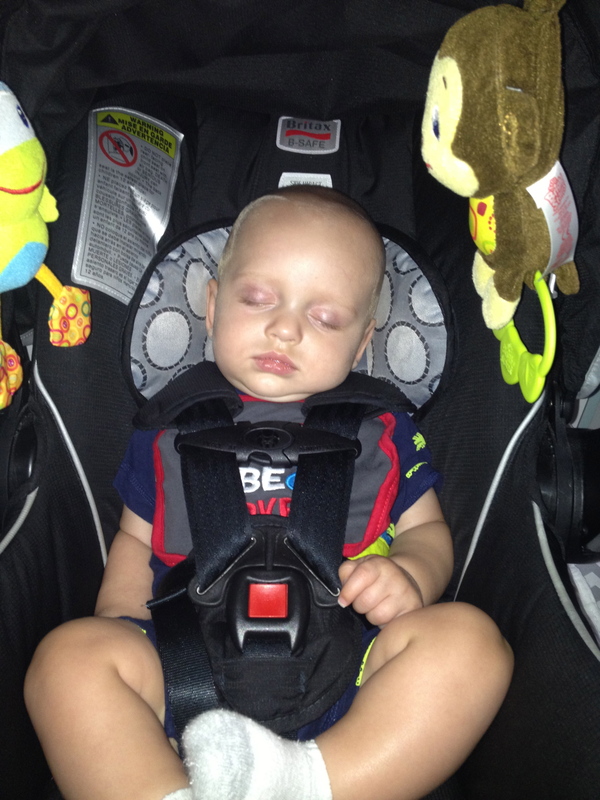 This is usually the end result of our vaccine doctor visits – a very sleep little boy! I’m one relieved Mommy because I don’t have to deal with shots for another month (like I said, we spread ours out so we’ve gotten shots at 2, 3, 4, 5 and 6 months and have more to get at 7 months). Since we’ve talked about something I was, and will be, dreading in the upcoming weeks/months, let me hear about something you’re looking forward to in the next month! For me it’s a new season of awesome (or if my husband is sharing his opinion, awful) television shows! No Alissa shots do not get easier. 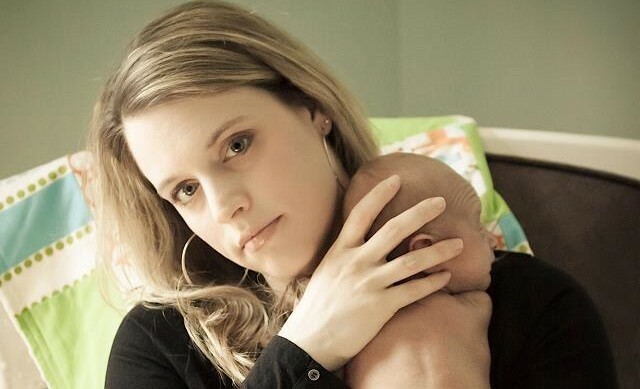 Anything associated with pain for any of your children is more painful for you than it is for them. Even when they are 30. Oh, and it’s so much harder when you’re a Gwam!